Thomas de Warbleton ~ Thomas de Werblintone. Escudo losanjado de oro y azur. Included in [Vincent, MS; 1285; number 245] also known as [St. George's Roll; 1285; number 245]. Blazon keywords: Without divisions, Lozengy, Or and Azure. Style keywords: Semi-circular, Spot ink, Outlined in sable and Freehand. William de Handsacre ~ William de Hondeshacre. Ermine, three Chess rooks Gules. 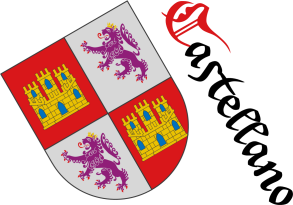 Escudo de armiños, tres roques de gules. Included in [Vincent, MS; 1285; number 469] also known as [St. George's Roll; 1285; number 469]. 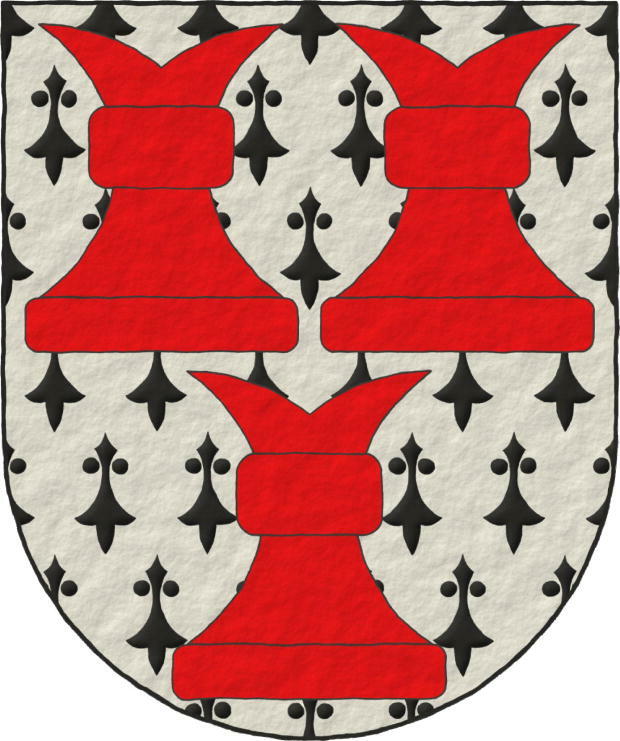 Blazon keywords: Without divisions, Ermine, Three, Chess rooks, Gules and Ordered. Thomas FitzThomas ~ Thomas le FizThomas. 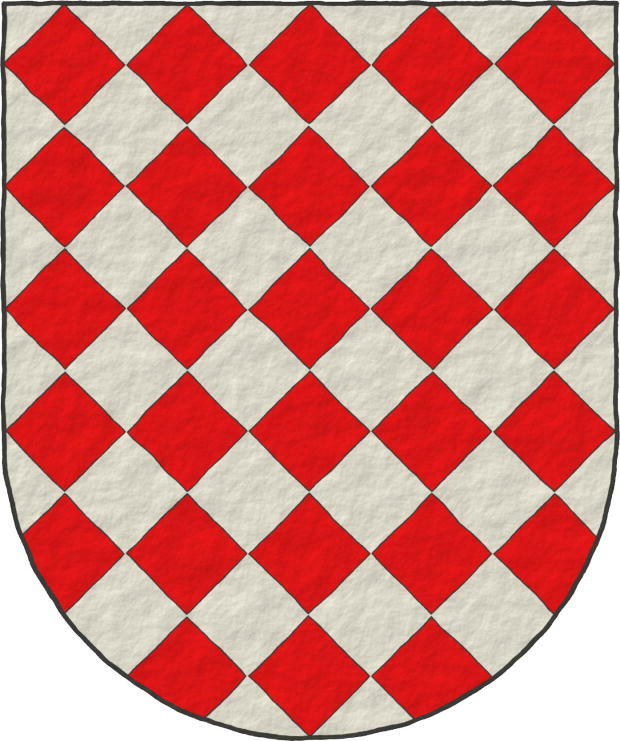 Blazon keywords: Without divisions, Lozengy, Argent and Gules. Simon de Croome ~ Simon de Crombe. Included in [Vincent, MS; 1285; number 623] also known as [St. George's Roll; 1285; number 623]. 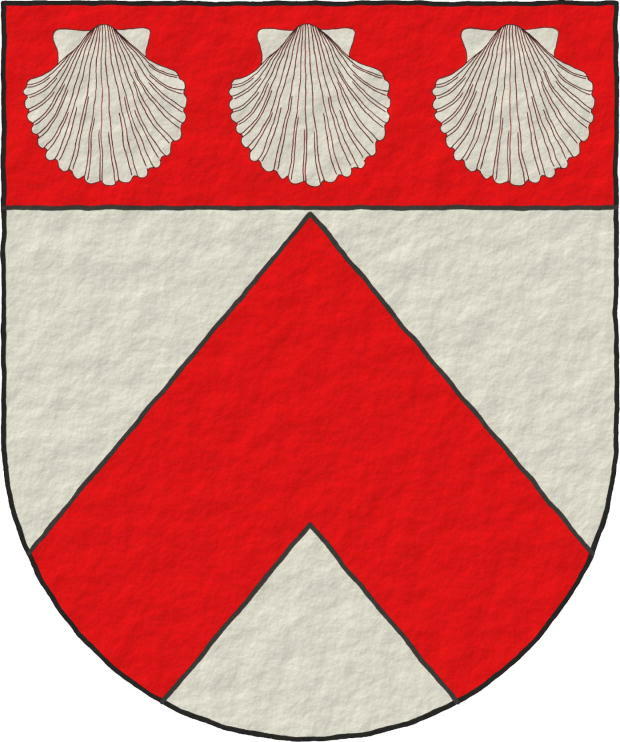 Blazon keywords: Without divisions, Argent, One, Chevron, Gules, Chief, Three, Escallop and In fess. Included in [Vincent, MS; 1285; number 595] also known as [St. George's Roll; 1285; number 595]. 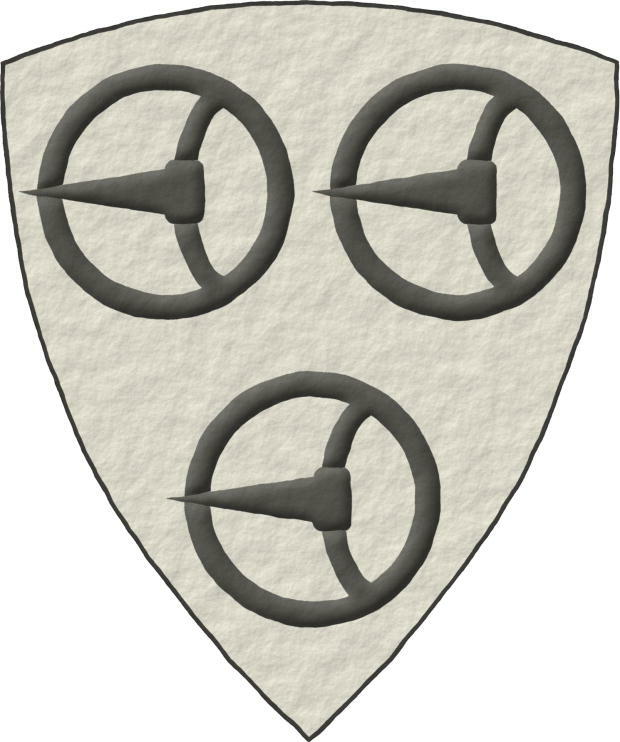 Blazon keywords: Without divisions, Argent, Three, Buckle, Sable and Ordered. Style keywords: Triangular curved, Illuminated and Freehand. James de Sutton ~ James de Sottone, le Fitz. Included in [Vincent, MS; 1285; number 599] also known as [St. George's Roll; 1285; number 599]. 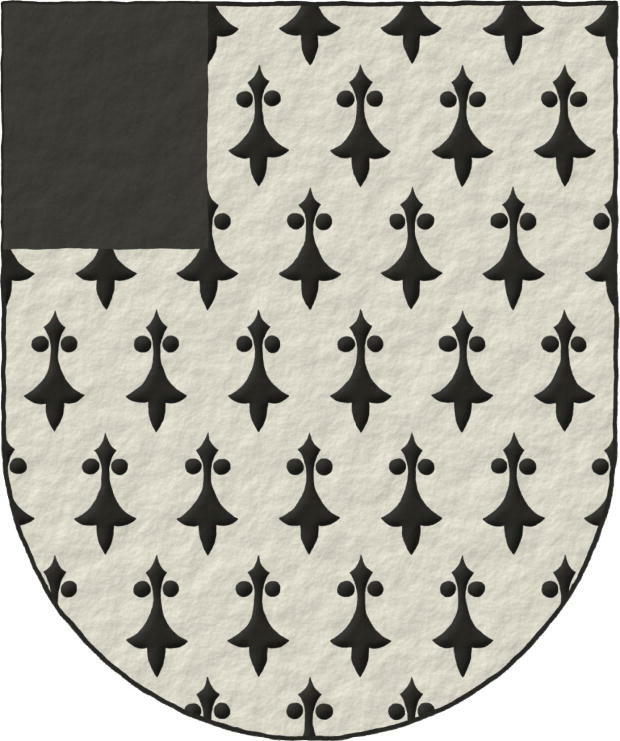 Blazon keywords: Without divisions, Ermine, One, Canton and Sable. Style keywords: Semi-circular, Illuminated and Freehand. John de Octon ~ Joan de Okinton. Included in [Vincent, MS; 1285; number 620] also known as [St. George's Roll; 1285; number 620]. 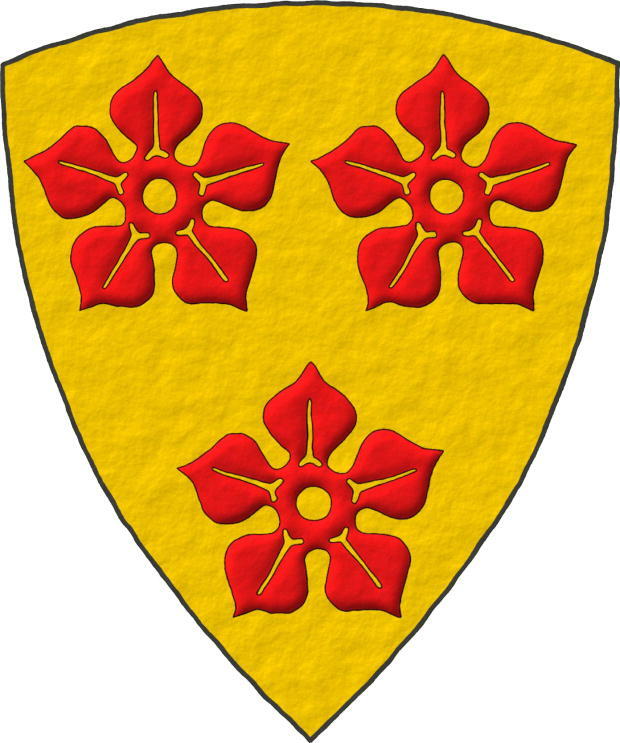 Blazon keywords: Without divisions, Or, Three, Cinquefoil, Gules and Ordered. Style keywords: Triangular curved, Illuminated, Outlined in sable and Freehand. Sigue por: Adam de Cretingges. 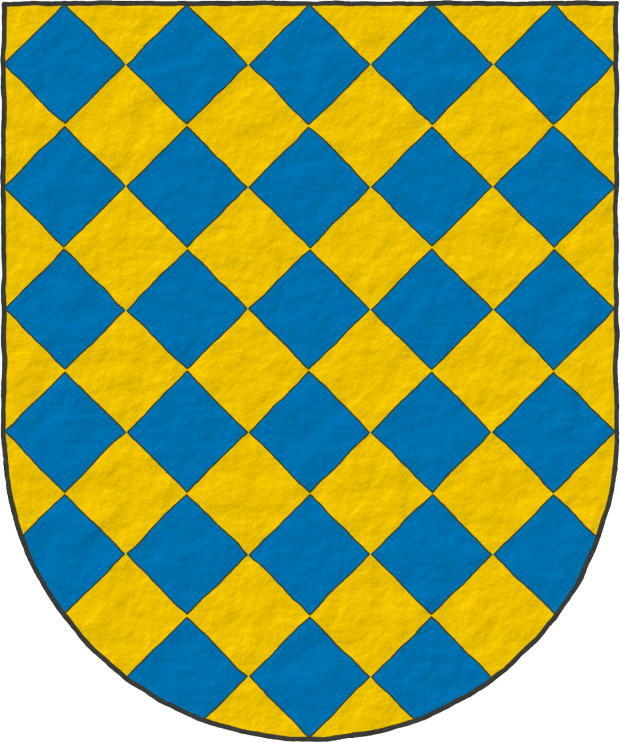 Between, Adan de Creeting, Ermine, Azure, Chevron, Canton, Outlined in sable, In fess, Mullet, Personal, Guillermo de Handsacre, Gules, Buckle, Illuminated, Interpreted, Jaime de Sutton, Chief, Juan de Octon, Lozengy, Semi-circular, Ordered, Or, Argent, Without divisions, Cinquefoil, Roberto de Malet, Chess rooks, Sable, Simón de Croome, Spot ink, Tomás FitzThomas, Tomás de Warbleton, Freehand, Three, Triangular curved, One and Escallop.